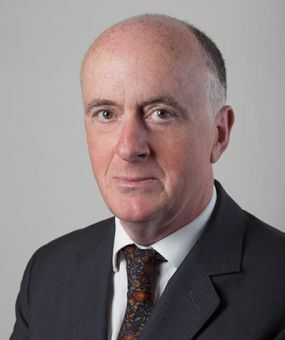 Adrian Williamson was called to the Bar in 1983 and has been a practising barrister in Keating Chambers since 1989. Adrian specialises in construction, engineering and technology disputes and he is also highly regarded for his expertise in professional negligence and insurance actions within these specialist areas. He took silk in 2002. Adrian’s practice covers all aspects of law within his specialist fields, including advisory work relating to standard form and bespoke contracts; contractors’, sub-contractors’ and employers’ claims; and professional negligence claims (architects, engineers, surveyors and project managers). This work includes advisory work, drafting and of course advocacy for which he is widely regarded as a formidable opponent. He regularly appears in the Technology and Construction Court in London and in arbitrations in many parts of the UK and abroad. Adrian has also appeared in the Court of Appeal on many occasions and in the Privy Council. He has represented clients in adjudication and mediation and is himself an adjudicator and arbitrator. Claim against contractor for overpayments in relation to PFI-style contract. Acting for Main Contractors in arbitration relating to office development in Central London. Defending claim in relation to alleged undeclared discounts in respect of London hotel development. Making and resisting claims for notified sums in respect of adjudications. Appearing on behalf of Franco-Japanese Joint Venture in a US$80 million Hong Kong arbitration concerning the Strategic Sewage Disposal Scheme. Appearing for a UK/Japanese Joint Venture in a London arbitration concerning the Tsing Ma Bridge in Hong Kong (claim for HK$480 million). Representing structural steelwork contractors in respect of a £10 million claim arising out of a crane collapse at Canary Wharf. Advised on a professional negligence/fraud arbitration in relation to a nuclear power station where the claim was over £100m. Advised on a negligence action relating to a coal-fired power station, which is the largest energy-provider of its type in China. Advised Contractors on claims regarding the Little Barford CCGT power station. Advised Contractors on claims regarding cooling water pipe works at a combined cycle power plant. Acting in litigation relating to North Sea wind farm. Resisting claims for alleged notified sums in respect of ‘excluded operations’. Claim against monitoring surveyors relating to various developments in the North of England. Acting in architect’s’ negligence claim on points relating to contractual interpretation. Claim against architects in respect of London luxury apartment development. Numerous professional negligence matters, including appearance at trial of surveyor’s negligence claim in Queen’s Bench Division and acting on behalf of solicitors in relation to professional negligence claim being tried in the Technology and Construction Court. Appearing for Contractors in relation to High Court proceedings in respect of “Claims made” policy. Representing Trade Contractors in respect of dispute over Contract Works insurance policy. Various adjudication matters, including advising and preparing documents, appearing at hearings of £2 million professional negligence dispute and accepting appointment as Adjudicator. Appearing in arbitration relating to software dispute relating to project in Saudi Arabia. Acted as leading Counsel for the Claimant in arbitration proceedings arising from major disputes relating to the contract for a new computerised ticketing system for the London Public Transport Network. Advised UK Global Technology Services and Outsourcing Company on its services agreements relating to a new case records system. Advising and representing a major UK Contractor in a series of adjudications in connection with a number of issues connected with large disputes (regarding a building contract and payment entitlement) arising out of two major PFI projects connected with the design and construction of two hospitals. "Leading silk when it comes to disputes about building contracts due to his concise, practical advice and excellent service." "Cuts through to the key issues, no nonsense." "A really persuasive advocate who is clearly highly respected by the judiciary." "Cerebral and incisive. Quick to grasp the issues and a pleasure to work with." "A very persuasive advocate. He knows which points to run and gets the court to listen to what he has to say." "A very robust and good advocate. Very measured and calm. He is very technically competent and has great attention to detail, particularly in drafting. He is measured in dealing with the judiciary and knows which points to stress." Interests include supporting Arsenal FC, squash, tennis and reading.